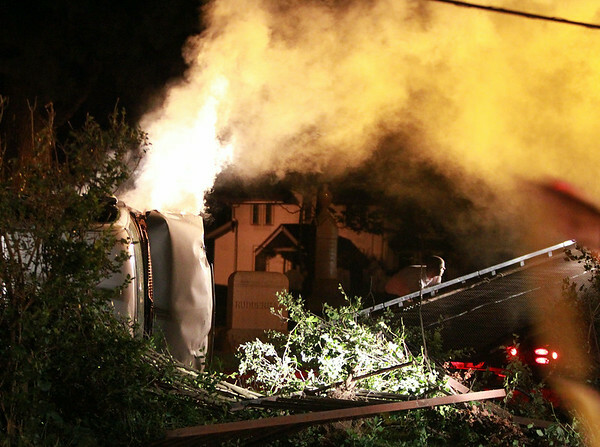 Smoke billows out of the engine area of a flipped over pickup truck early on Thursday morning. DAVID LE/Staff photo. 8/7/14.